After leaving the house this morning, I realised just how cold its got! Yes I know its the end of November but still. An amazing sunny yet crisp day, the best, and I was super thankful to be wrapped up in my shearling coat. The coat I have had stored in my wardrobe since the Summer (I bought it when it was in the sale as I had wanted it for ages, and well thats clever shopping). It Just made me happy that I had found my coat, the one that made me feel like I could be uber basic underneath, because it was all about this statement coat which just happens to be the warmest thing ever. I’m a firm believer in purchasing statement pieces, like a coat, bag and shoes, and letting everything in between be super casual and laid back, this theory was confirmed this morning while proudly walking around Balham. I know so many friends who struggle to find that perfect coat, the one that will carry them through the season and hopefully if done right will last year after year. So here’s a list of the best coats I’ve come across this season and how to style them. Towards the end of last Winter, these coats started to show up more and more. Oversized and warm, with a slight ‘Stranger Things’ look when worn with light denim and a red jumper – yes I did that. Real fur -NO. 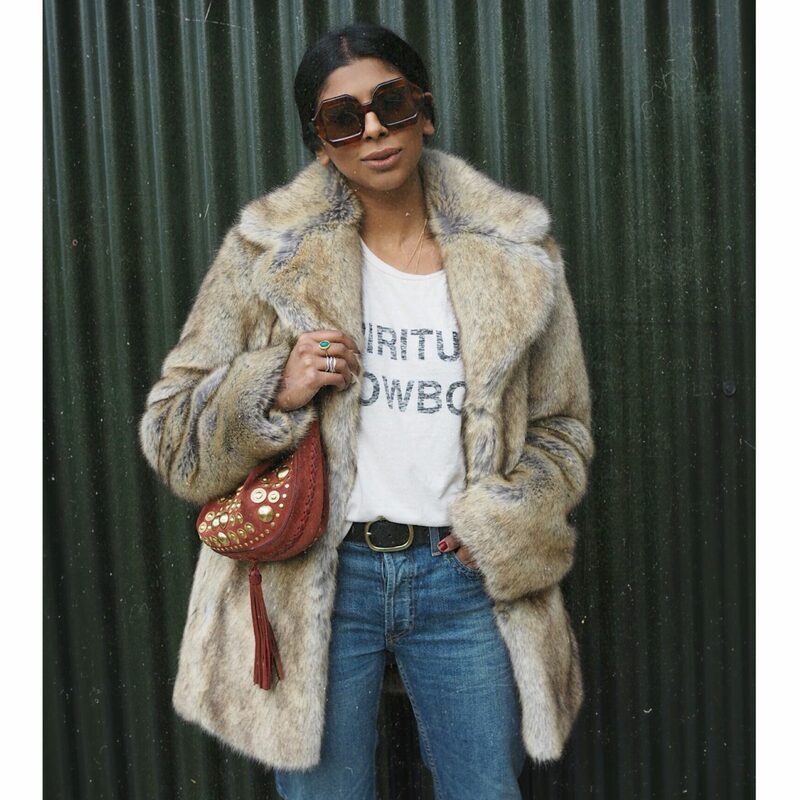 Faux fur – YES. This is the coat I’m saving up for. A complete dream. Uber cool. A classic style that will never go out of style. The coat you want to throw on when its raining and you’re running to the shops. Que the ‘Puff Daddy’ quotes on Instagram. This year my black plastic trench was my go to, it also got me through those April showers. The blue Warehouse one from Asos has been ordered. Photos to follow soon. Keeping it simple never hurt anyone. One that’s built to show off those womanly curves. The Autumn must have coat. Theres one in every store, but this is my favorite. Well done Mango. The cool look. A complete tonal look in warm toffees. UBER CHIC. I love a wildcard. One thats not really needed, its a luxury but it keeps those heads turning. And each turn is proof of its worth. First of all, if you’re able to leave the house with confidence of wearing a full on light pink look congratulations! You will be the envy of accident prone women everywhere.